The iSeries 4719 Ultimate Single/Double Bow Case easily converts from a single bow case with a removable accessory tray to a double bow case in seconds and offers all of the features of our iSeries cases.The case offers a bunk-bed style foam divider with a removable, adjustable accessory tray on the lower level to hold all of your arrows, a long target stabilizer (up to 36" long), quiver, optics and other accessory items. By removing the accessory tray, the case will accommodate two bows, one up to 46" long and the other up to 44" long.The case has 8 latches, 2 on each end and 4 on the front. 3 handles adorn the case while a medium- sized handle is equipped on each end should you and a friend need to "coffin carry" over extreme terrain. A large handle is situated on the latch side for standard carry should the nicely-sized wheels not suffice. 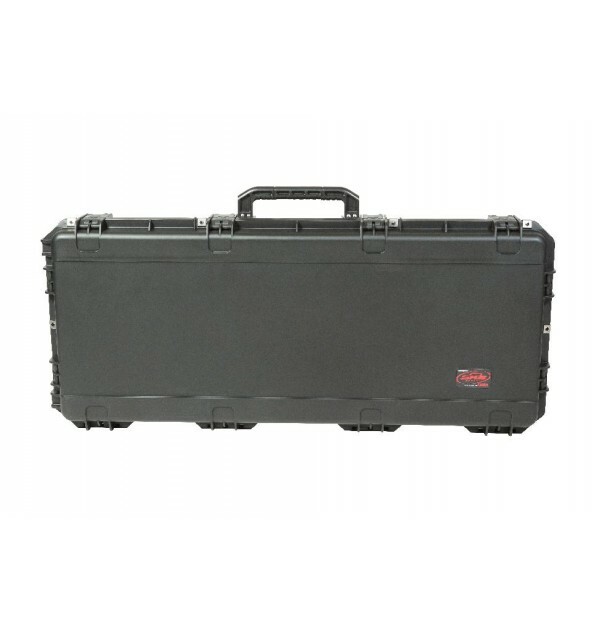 The iSeries 4719 Ultimate Single/Double Bow Case has a uni-body design, which eliminates the need for excessive metal reinforcing hardware found on traditional flight cases. This case is under 33 lbs. empty. 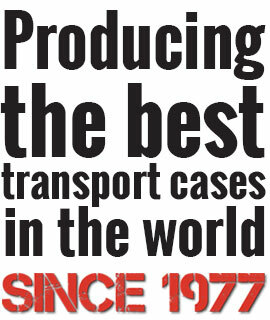 The case is covered by SKB's unsurpassed Lifetime Warranty and the $1500 Content Coverage if your gear is damaged by an airline.The iSeries injection molded waterproof cases are constructed of ultra high-strength polypropylene copolymer resin and feature a gasketed, waterproof and dustproof, submersible design (IP67) that is resistant to corrosion and impact damage. The molded-in hinge with stainless steel hinge pins, patented "trigger release" latch system, comfortable, snap-down rubber over-molded cushion grip handles, secure stacking, and automatic ambient pressure equalization valve (MIL-STD-648C) all contribute to its military grade design. Adjustable accessory tray on the lower level.